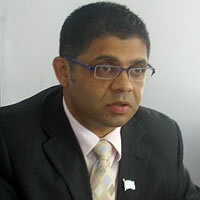 Aiyaz Khaiyum is deliberately misleading and misinforming the people of Fiji about the appointment of a Minister for Elections in the past, says the Fiji Labour Party. “Neither in Rabuka’s time nor under Laisenia Qarase was there ever a Minister for Elections. The Electoral Commission was a completely independent body responsible to Parliament, not to any Cabinet Minister,” said Labour Leader Mahendra Chaudhry. Under the 1998 Constitution the Chairman of the Electoral Commission was appointed by the President. Other members were appointed by the President on the advice of the Prime Minister following consultations with the Leader of the Opposition. No other Cabinet Minister had any responsibility. Mr Chaudhry said because there was no appointed Minister for Elections, it was the practice for the Prime Minister to respond whenever questions were raised in Parliament relating to elections, or when proposing a budget for the Elections Office or other electoral institutions. The electoral institutions had complete autonomy. On Khaiyum’s comment that the call for his resignation was nothing but “gutter politics”, Mr Chaudhry said the matter was, in fact, a serious national issue regarding the credibility of the September polls..
“Khaiyum has, reportedly, been interfering with the electoral process as Elections Minister. His continuing in that office while holding an executive position in the Fiji First Party, will mean further abuse of office and ministerial control,” he said. “How can there be free, fair and credible elections in such circumstances? Mr Chaudhry asked. Aiyaz Khaiyum must resign as Minister for Elections. There is absolutely no precedence for such an office. Nor is there any excuse for him to continue in that position now that an Electoral Commission and a Supervisor of Elections have been appointed to oversight the electoral process. “There is clearly a conflict of interest here. Khaiyum must resign in the interest of transparency to ensure that the September elections are free, fair and credible,” Mr Chaudhry said.